Revenue in the Video Streaming (SVoD) segment amounts to US$5,187m in 2019. Revenue is expected to show an annual growth rate (CAGR 2019-2023) of 3.4%, resulting in a market volume of US$5,932m by 2023. User penetration is 13.9% in 2019 and is expected to hit 15.7% by 2023. The average revenue per user (ARPU) currently amounts to US$9.02. In global comparison, most revenue is generated in United States (US$11,420m in 2019). Subscription-based Video-on-Demand services (Subscription-VoD or SVoD), e.g. Netflix and Amazon Prime Video, offer unlimited access to their content libraries for a monthly subscription fee. Movies and TV series can be streamed to various supported connected devices. The SVoD market does not include ad-supported services, pay-per-view offerings or services that require a pay-TV subscription (e.g. HBO Go). Reading Support Revenue in the Video Streaming (SVoD) segment amounts to US$5,187m in 2019. Reading Support The Video Streaming (SVoD) segment is expected to show a revenue growth of 7.1% in 2020. Reading Support In the Video Streaming (SVoD) segment, the number of users is expected to amount to 669.8m by 2023. 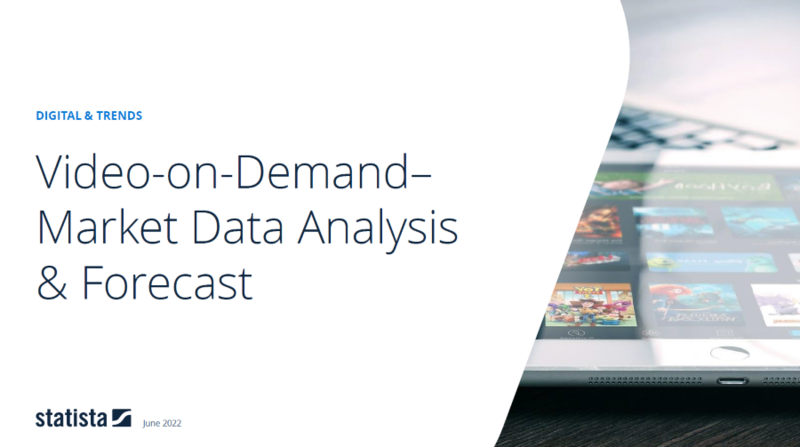 Reading Support User penetration in the Video Streaming (SVoD) segment is at 13.9% in 2019. Reading Support The average revenue per user (ARPU) in the Video Streaming (SVoD) segment amounts to US$9.02 in 2019. Reading Support With a market volume of US$11,420m in 2019, most revenue is generated in United States. Reading Support With a rate of 38.6%, the user penetration in the Video Streaming (SVoD) segment is highest in Sweden. Here you can find more studies and statistics about "Video Streaming (SVoD)".